PokerStars captured the hearts and minds of players all around the world as soon as it was launched. Constant software improvements have kept PokerStars on top of the online poker world for over a decade. Even if you have played at PokerStars for years, you still might have missed some of the interesting features that are being added constantly. This review is the ultimate guide, that provides you everything there is to know about that software. PokerStars is operating in every country in the world where online poker is legal, however, some countries have laws, requiring PokerStars to operate by internal market regulation. This creates a lot of regional PokerStars sites, like PokerStars.fr for French and EU players, PokerStars.es for Spanish players, etc. Typically, you can download the software from PokerStars.com or PokerStars.eu (You will be automatically transferred to PokerStars.eu if you reside in Sweden, Finland, Poland, Romania, Greece, Slovenia, the Netherlands, Luxembourg, Germany, Hungary, Latvia or Lithuania). EU and COM clients share the same player pool, so there is virtually no difference between them. Once you navigate to the PokerStars website, just click any of the download buttons to start the process. The download shouldn’t take more than a few minutes, however, depending on your internet connection, it can be anywhere from under a minute to five minutes. You can track the download progress in your browsers download bar. Once the download is finished, launch the installer. The brand new PokerStars installer allows you to install the software in a single click. All you have to do is select the language, check the shortcuts that you want to create for the software (desktop shortcut, start menu shortcut, etc.) and select the installation folder. You can even add a PokerStars toolbar for Internet Explorer! After you have selected all the installation options, read the End User License Agreement and click “Install”. The installation shouldn’t take more than a minute. As soon as the installation is finished, the client will launch automatically and check for any available updates. The update check will be performed each time the client starts and if there are any updates available, they will be automatically installed. Creating an account at PokerStars is as easy as installing the software. Once the software is installed and the client is launched, just click the “Log in” button at the bottom right corner. This will open the login window and if do not have an account yet, press “Create New Account”. All you have to do is enter a username, password, your e-mail and the way you found out about PokerStars and the registration is finished! Don’t forget to enter your real e-mail, because you will have to validate it later. This will ensure you have access to FTR’s exclusive events, totaling $500 per month! Once you receive your validation code, just go to the “Account” menu in the PokerStars lobby and click “Validate Email Address”. Enter the validation code and click “Validate” to complete the validation. Depositing at PokerStars is completely hassle free, with loads of deposit methods available to players from any country. PokerStars allows you to deposit and keep your bankroll in four different currencies – the U.S. Dollars (USD), Euros (EUR), British Pounds (GBP) and Canadian Dollars (CAD). To make a deposit, just click on the “Cashier” button at the bottom right corner of the lobby. In the navigation menu on the right side of the cashier window, click “buy chips”. If you have previously deposited on PokerStars, the previous deposit methods will be offered to you first. Either way, you can then choose from a list of options that are available in your country. Once you have selected your preferred deposit method, click “Deposit” in the bottom right corner. Depending on the type of deposit method you chose, you’ll need to fill out the necessary information to process the deposit. For online e-wallets you’ll need to enter you e-wallet information, while VISA or MasterCard deposits will require all the information about the card, which needs to match your personal details. If you have made a mistake or haven’t yet entered your personal information, which is necessary to make a real money deposit, just go to the “Account” menu in the lobby. There you can change all the necessary information about your account. To withdraw real money funds from your PokerStars account, just go to the cashier and click “Cash Out” in the right navigation menu. Note, that a withdrawal can only be requested 48 hours after you have made your last deposit. In the next window, you will see your total real money balance and you will need to enter the amount you want to withdraw. Next, you need to choose your withdrawal method. Note that you can only withdraw real money using methods that you have previously used to make deposits, except for checks, direct bank transfers and wire transfers. Once you have selected your withdrawal method, click “Submit” and your request will be processed. PokerStars has one of the fastest withdrawals, which are usually processed within a couple of hours, though it can take longer for certain withdrawal methods. While being incredibly simple and mostly intuitive, PokerStars software has long been the best on the market, with features unmatched by any other poker clients. If you dig deep enough, the amount of features this software has to offer is just staggering. PokerStars offers a huge variety of games and best of all, all of them always have tables running! The most popular game, of course, is No Limit Hold’em. You will easily find games running all the way to high stakes at any time of day, though at non-peak hours there might not only be a few tables running at high stakes. 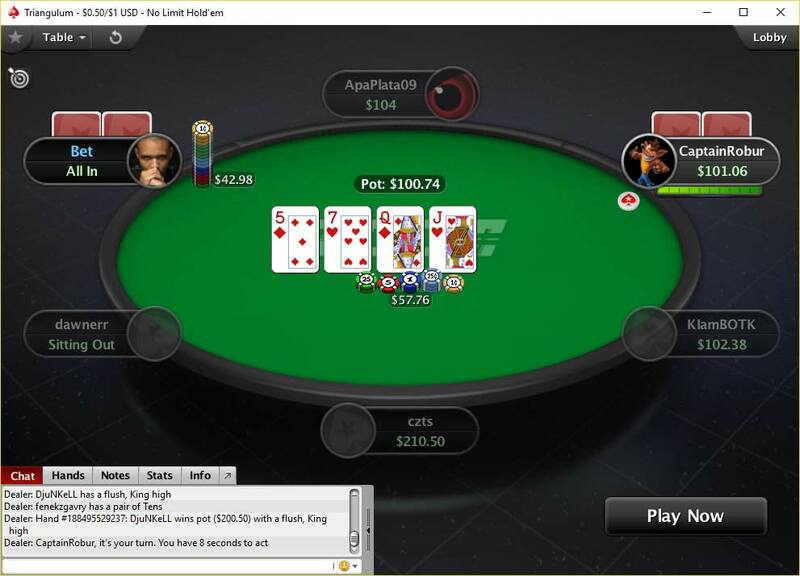 Limit Holdem is also still popular on PokerStars, with games regularly running up to mid stakes, with the occasional high stakes table filling up. Just like most other rooms, Omaha is second to Hold’em in popularity, with games regularly running even at mid stakes and a few high stakes games. You will even find a decent amount of Omaha Hi/Lo games running at mid stakes, though you might have to wait for a long time until a high stakes Omaha Hi/Lo game starts. On the other hand, PokerStars is the only place online where you can actually see a high stakes Omaha Hi/Lo game running. 5-Card Omaha games are also available, including regular 5-Card Omaha, 5-Card Omaha Hi/Lo, Courchevel and Courcheve Hi/Lo. Regular 5-Card Omaha games run 24/7, even at mid stakes, though you might have a hard time finding any other games running at non-peak hours above low stakes. If you like Stud games, PokerStars is the place for you! 7-Card Stud games are running all day long all the way to mid stakes, with an occasional high stakes game. 7-Card Stud Hi/Lo and Razz games are also running constantly and at peak hours you will have many tables to choose from. If you are a fan of Mixed Games, you will have plenty to choose from, including 8-Game, HORSE, Hold’em/Omaha and Triple Stud, which is rotation of 7-Card Stud, 7-Card Stud Hi/Lo and Razz. While most of the traffic in these games is concentrated towards 8-Game tables, you can still find any of the games running at peak hours. PokerStars also offers a range of less popular games, like 5-Card Draw, 2-7 Triple draw, 2-7 Single Draw and Badugi. While these games are no where near as popular as Holdem or Omaha, there are still tables running at low stakes around the clock! PokerStars also offers Zoom Poker, the most popular fast-fold version of Hold’em and Omaha! Zoom games feature combined player pools that are re-shuffled every single hand, so each time you are dealt a hand with completely different opponents, and you don’t even have to wait for the hand to be over once you fold! As soon as you release your hand, you will be dealt a new one! Zoom games are becoming more and more popular and now you can regularly play Hold’em and Omaha Zoom games even at high stakes! Here you can change the language of the PokerStars client as well as a primary e-mail communication language and two extra languages just in case. The same menu can be accessed in the PokerStars 6 client by going to the ‘Languages’ tab at the top of the client window. You can set up your time zones settings by clicking “Time Zone” in the “Settings” menu or by clicking the clock near the cashier button in the lobby. This menu can be accessed in PokerStars 6 client by going to the ‘Options’ menu and clicking ‘Time Zone Settings’. Here you can change the sounds for each action listed to your own custom sounds. Volume for each sound can be individually adjusted, so that you can mute out all the unnecessary sounds or you can remove them all together. You can adjust the sound settings in PokerStars 6 client by going to the “Options” menu and clicking “Sound Settings”. This menu features a number of privacy features that may be useful to you. You can exclude yourself from search, so other players won’t be able to find you through the “Find a Player” feature. To do this in PokerStars 6 client just go to the “Options” menu and click on “Hide From Search Feature”. You can also choose to show your balance in the lobby, though you can also quickly switch between showing and hiding it by clicking on the balance itself. 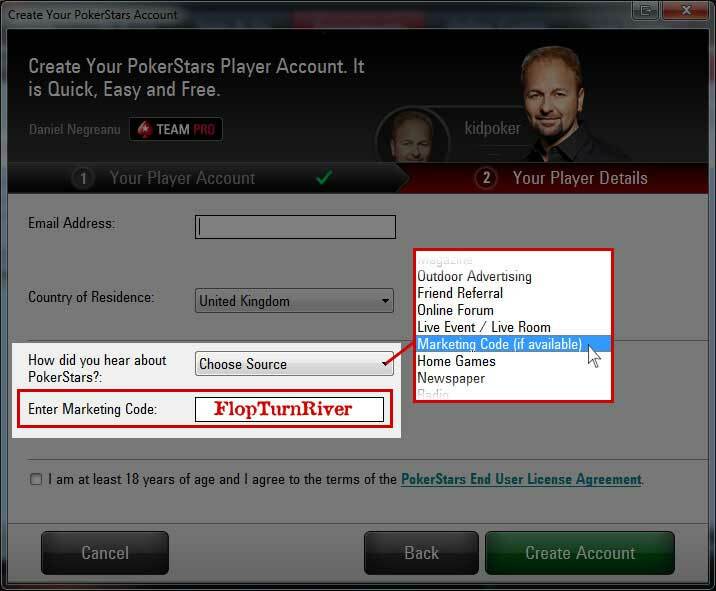 This is a newly added feature and is not available in the PokerStars 6 client. The VIP Status Display Options allow you to select whether you would like your VIP status to be visible others and whether you would like see other players VIP status. The same options can be found in PokerStars 6 by going to the ‘Options’ menu and clicking ‘VIP Status Display Options’. Multi-Currency options allows you to automatically convert currencies without confirmation. This is useful is you keep your bankroll in US Dollars but regularly play Euro cash games, for example. If you choose the confirmation option, you will be prompted about the conversion every time you buy-in to a cash game or tournament that requires different currency than is present in your account. You can also select the option of crediting your winnings to your preferred currency. This means that if your preferred currency is the US Dollar and you enter and cash in a tournament that requires Euros to buy-in, your winnings will be automatically converted and credited back to you in US Dollars. This menu features all the newly added features that are still in beta testing phases. Currently you can choose to show the beta Easy Seat feature in the lobby and enable beta Sounds. At some point these options will become full features and will be replaced with other beta features, so check out this menu regularly to catch the newest additions to the client. The same menu can be found in the PokerStars 6 client at the very bottom of the ‘Options’ menu. The Quick Tournament Search allows you to find tournaments in the lobby by their names. If you want the lobby to show only SCOOP tournaments, you don’t have to adjust filters to filter out SCOOP tournaments by buy-in or structure, just enter “SCOOP” into the Quick Tournament Search window and only those tournaments will remain in the lobby! The Tourney Filter has a lot of criteria by which you can filter out the tournaments you want to play. You can filter out tournaments by Game Type, Limit, Buy-in, Speed, Currency, Format and Table Type, so you can quickly find any specific tournament you want to play. The PokerStars 7 client has a revamped filter where you can quickly filter out tournaments, add detailed filters and save your filters for quick use. The Lobby Display Options menu provides you with a variety of display options to choose from that will allow you to customize your lobby in any suitable way. You can find the menu in the PokerStars 6 Client by going to the “Options” menu and clicking “Lobby Display Options”. Some features are an addition to the PokerStars 7 client, so they might not appear in the previous version. Turning on this option adds the Easy Seat option to the bottom of the cash game list. Easy Seat helps you manage your multi-tabling sessions very effectively by choosing what types of tables you would like to play and how much tables would you like to keep open at any time. This option enables an alternative layout for the tournament lobby, which is more structured and uses separate columns for each tournament parameter. Enabling this option will hide all the cash games and tournaments that are restricted to you by geographical location from the lobby. If this option is enabled, tables, which have a member of Team PokerStars Pro sitting at them will be at the top of the lobby. If enabled, this options minimizes the lobby when a new tables opens. If this option is enabled, images of Team PokerStars Pros and the Weekly TLB winner will be shown at the bottom of the lobby. The new lobby is quite a bit more resizable than the old one, so you can actually resize it to when it will no longer fir banners. In this case, they will not appear, but if the size is right, this option allows for the banners to appear. If enabled, the “Start” column in the tournament lobby will display the number of minutes remaining until the start of the tournament within 60 minutes. The Guide Bar provides helpful info by highlighting the most important parts on each tables lobby. Some fonts in the PokerStars client are customizable. You can choose between five font sizes and four fonts. These changes will effects the game list in the lobby, player informations and pop-up messages. All PokerStars tournament can be highlighted in different colors depending on the tournament type. For example, you can change the color of all the MicroMillions tournaments to quickly find them in the lobby. Tournament colors can also be disabled all together. PokerStars contains a huge amount of table features that you can customize to make your tables perfectly suited to your needs. By going to the “View” menu and clicking on “Table Themes”, you can customize any part of the tables. You can select the general table theme, select a custom felt color, the background color, the front and back views of the deck and 4 color deck option. There are dozens of themes you can choose from, starting with the most popular Classic, Nova and Black themes. You can also install other themes, like Slick Chairs, Marine, Renaissance and many more. This will enable and indicator that will alert you when your time to act in a hand will be running out. Enabling this option will highlight the active player, so that it will be much easier to see who’s turn it is to act, especially if you are multi-tabling. Chat bubbles allow you to keep track of chat without diverting your attention to the chat box. If enabled, the background of the table will change if you reach the final table of a tournament. With this option, you can turn player images on the tables on and off. PokerStars table fonts increase and decrease proportionally to the table size, however, by enabling this option, the fonts will be bigger on tables that are decreased to a small size. Enabling this option will display bet amounts next to the chips that players bet at the tables. If this option is disabled, it’s pretty hard to clearly see the bet amount and you will have to hover the mouse cursor over the bet each time to get the correct bet amount. Enabling this option will allow you to see how many people are observing your table. You can also enable the “Show Mobile Device Icons of Other Players” to see any player at your table who is playing on a mobile device. Enabling the 4-color deck will allow you to differentiate between card colors more easily and avoid mistaking once suit for another. Enabling this option will display larger opponent hole cards. You can see the difference in card display in the screenshot below. You should definitely enable this option, since it will be easier to spot players who are in the hand at a glance. If this option is checked, your hole cards will be shown in a way that is shown on the left side of the screenshot below, otherwise they will be shown like on the right side of the screenshot. Enabling this option will allow you to view your folded cards any time while the hand is still being played out. You can select the amount of animation shown at the tables. While PokerStars has nice table animations, you might want to select the simplified animation version or disable them all together if you play a lot of tables. This will cut down on memory usage, so you won’t have any lags in case you have an older PC. Table animation setting can be configured in the PokerStars 6 client by going to ‘Options’ -> ‘Table Display Options’ -> Animation. You can also select the Zoom Animation style and enable the Fold and Watch feature, which allows you to fold a hand at a Zoom table and stay at the table to watch how the hand ends. Zoom animation options can be found in PokerStars 6 by going to the ‘Options’ menu. Here you can change the chat box settings and configure the chat itself. You can choose whether to display chat bubbles and emoticons in the chat box, as well as choosing to view players and table observers messages. These options can also be found in PokerStars 6 by going to ‘Options’ -> ‘Table Display Options’. 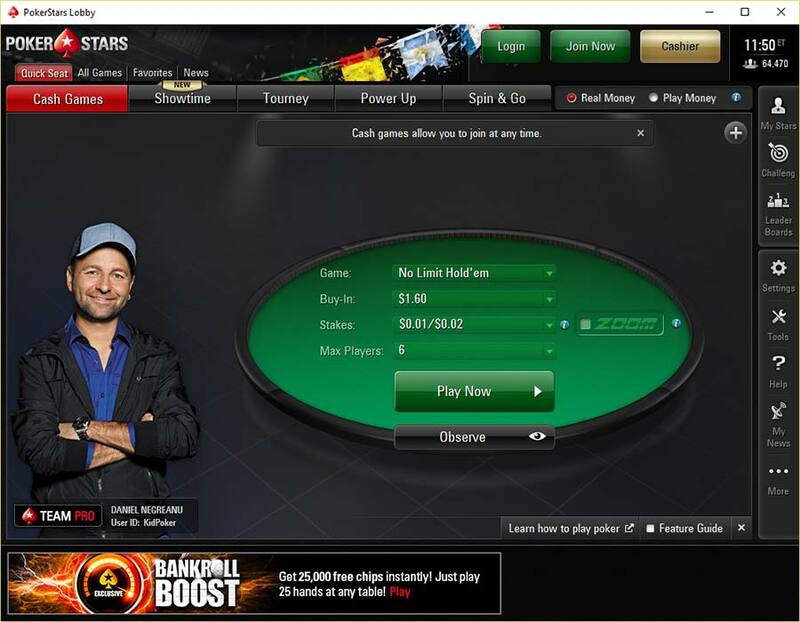 The new PokerStars client features a few more chat options, including the ability to merge all detached chat windows and the ability to choose which of the five chat box tab will be automatically enable when a table starts. These can be customized differently for cash games and tournaments. You can select your preferred seating options for all types of tables. You can simply choose to auto-center you at any table or select different preferred seats for each separate table type. The same menu can be found in PokerStars 6 by going to the “Options” menu and clicking “Preferred Seat”. You can set up the amount of tournament announcements you want to see in this menu. If you select “Show All”, you will receive tournament announcements in the chat box and at the top of the tables. “Block Pop-Up Announcements” will block the announcements at the top of the table, but will leave the chat box announcements in place, while selecting “Block Pop-Up and Chat Announcements” will block all tournament announcements. Tournament announcement setting are also available for PokerStars 6 in the ‘Options’ menu. You can choose to automatically muck your loosing hands, never show your winning hands, never show when folding last and show hole cards when you are all-in in cash games. If the last option is disabled, you and your opponents will only show your hand once the board runs out in an all-in situation. You can access these options in PokerStars by going to the “Options” menu and selecting “Showing/Mucking Hands. In the “Bet Slider Options” menu, you can customize you bet slider in many different ways. You can select the bet sizing increments in the slider to be adjusted by the small blind size or the big blind size. You can also customize the shortcut betting buttons, which appear just above the betting slider. The four buttons can be adjusted for custom bets for pre-flop and post-flop betting. To adjust the bet slider in PokerStars 6, go to the ‘Options’ menu and click ‘Bet Slider’. The Run It Twice feature allows you to run the board twice in all situations if you and your opponent both have the feature enabled. You can also check the option of selecting whether to Run It Twice on each individual table. You can enable the feature in the PokerStars 6 client by going to the “Options” menu and selecting “Run It Twice (Ring Games)”. By going to the “Tools” menu and clicking “Player Notes Editor”, you can check all the player notes that you have taken down and modify them. You have an option of five settings to make adding notes easier, like the option of single clicking on a player to assign a note. Player notes can be found in PokerStars 6 by going to the ‘Options’ menu. If you don’t like doing everything using your mouse, you can always assign hotkey to your keyboard, so you even have to touch your mouse while you play! You can assign all the actions like calling, folding, raising or even scrolling through tables or setting custom bet amounts to any key on the keyboard. Hotkeys can be enabled and disabled at any time during play. Hotkeys in PokerStars 6 can be accessed through the ‘Options’ menu. All multi tabling options, including the advanced options, can be found in PokerStars 6 by going to the ‘Options’ menu and clicking on ‘Advanced Multi Table Options’. General options allow you to set up a range of multi tabling options for all tables. You can select whether you would like your tables to pop-up whenever actions is required of you. This is a good option to keep enabled, especially if you like to browse the internet while you play. If this is not enabled and your table will be obscured, you might not notice that the action is on you and automatically fold a good hand when your action time runs out! You can also select the additional option of tables popping up when action is required, but keeping focus on the chat window at all times. Other options include highlighting bet amounts and activating any table with a single mouse click. Both options are very useful and should be enabled for easier table handling. The last general option is the option to minimize the main lobby when opening a new table. In the Tournament and Sit & Go section, you can enable new tournaments to take focus when they open. For completed tournaments, you can enable automatic closing on completion without notifications. Automatic opening of tournament lobbies when a tournament starts can also be enabled. To save time, you enable automatic registering for tournaments and sit & go’s, skipping the buy-in window. You can also enable the “I’m Ready” button to automatically be checked for you at the beginning of every tournament, so you won’t have to do it yourself every time. The last option is to enable always starting Start n Stack tournaments to always start with maximum chips. In this section, you can enable the option to customize the table theme and background by right clicking on the table. An additional option is for the changes that you make to be applied only to the selected table. If this option is disabled, any changes made to the table theme and background will apply to all tables. This menu features advanced settings for tables. Advanced features can be applied separately to cash game and tournament tables. Currently, the only option available in this category is turning off rounding bets to the nearest blind. In general, it doesn’t matter for most player of this option is enabled or not. Even if your bets will not be rounded to the nearest blind before you make them, the client will automatically do that for you anyway as soon as you make the bet, since you can’t make bets with fractions of a blind. Advanced multi-tabling options for ring games include an option to add a “Close table on big blind” checkbox to the standard “Sit out next big blind” checkbox. This means that you can select to automatically sit out and close the table when it’s your time to post the big blind. You can also enable PokerStars to ask you to post blinds whenever a new game starts, as well as waiting for the big blind before beginning play in Play Money games. The last ring game option is enabling auto-seating after you have accepted a reserved seat. Advanced multi-tabling options for tournaments and sit & go’s include three settings. First – the option to receive congratulatory e-mail’s, which you will receive any time you finish in the money of any tournament or sit & go. The second option, if enabled, will always decline rematch requests and is exclusive to heads-up sit & go’s. Lastly, you can disable automatic unregistering for sit & go’s. If the option is disabled, the PokerStars client will automatically monitor if you are disconnected from the server and registered in sit & go’s at the same time. If you are disconnected long enough, PokerStars will automatically unregister you from all sit & go’s. PokerStars provides a range of automatic buy-in and rebuy options for both ring games and tournaments. Setting up auto buy-in’s will let you skip the buy-in windows, so if you buy-in to a cash table for the same amount every time, you won’t have to fill out the numbers each time. You can also set up your default buy-in amounts for all types of cash games, including different settings for tables with different buy-in requirements, zoom and play money tables. You can set rebuy requirements for limit, no limit and pot limit tables, as well as setting requirements for rebuying, like doing so only if your stack falls under a certain amount of big blinds. Auto seating options allow you to specify the amount of players that you want to be seated when using features like “Find Me a Seat” or “Easy Seat”. You can also adjust “Table Started” settings in the same menu. These options will be applied by default to all rebuy tournaments, but you can change each individual tournament setting within the table itself. In this menu, you can select the folder in which to store your hand history files. You can also select the number of days you want your hand histories to be saved for and the language in which they will be stored. For PokerStars 6, you can setup you Instant Hand History Options by going to the “Options” menu and clicking on “Instant Hand History Options”. This menu will contain the same settings as the “Hand History Options” menu, though you might want to save these files into different folders, so you won’t have to sort them out later if you want to go through them. You can setup your tournament summaries in PokerStars 6 by clicking on “Tournament Summary Options” in the ‘Options’ menu. The BOOM! Hand Sharing feature allows you to share your hands via social media. You can enable BOOM! Sharing through this settings menu as well as select which social media outlets you want to use for sharing your hands. To view BOOM! options in PokerStars 6, go to the ‘Options’ menu and click on ‘BOOM! Hand Sharing’. To share a hand on social media or via BOOM! Hand Sharing, open Instant Hand History by clicking on the dealer tray after the hand takes place. At the bottom of the Instant Hand History window, you will see a red “BOOM” button, which will share your selected hand on BOOM!, Twitter or Vkontakte. PokerStars offers three standard quick table positioning options – tiling, cascading and stacking. Along with these, you can also save up to eight custom table layouts. To lay out the tables the way you want to in PokerStars 6, go to the “View” menu in the PokerStars lobby and click “Save Custom Layout”. Once your layout has been saved, you can always apply it through the “View” menu and manage it by clicking “Manage Layouts” in the same menu. The VIP Status Display Options allow you to select whether you would like your VIP status to be visible others and whether you would like see other players VIP status. PokerStars 7 offers a new feature of adding a VIP Club progress bar towards different goals. The default bar is used for Stellar Rewards and is always visible in the lobby. You can change this to whatever custom goal you have in mind or disable the progress bar altogether. 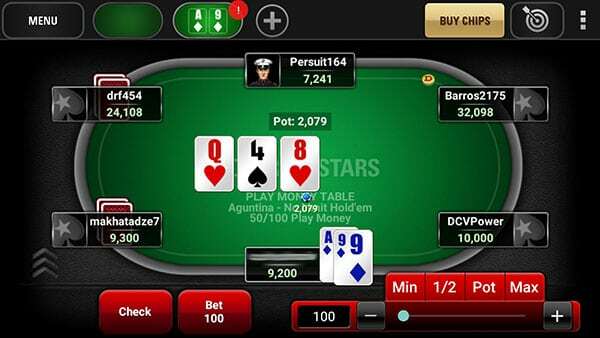 With the addition of the new PokerStars 7 client, the old PokerStars 6 version is still accessible at a moments’ notice. The transition between clients takes only a few seconds and all your settings are transferred in the process. This menu allows you to access all kinds of history and statistics on your games. ‘Instant Hand History’ allows you to quickly access all the hands from your recent sessions. The same window can be opened via any of the tables. You can also request your tournament history, casino game history, statistics and a playing history audit. All of these features can be accessed in PokerStars 6 by going to the ‘Requests’ menu. The PokerStars tournament leaderboard allows you to win great prizes on a weekly, monthly and yearly basis. You earn leaderboard points every time you finish in the top 15% of a tournament. This menu allows you to view the points you have accumulated. You can check your tournament leaderboard points in PokerStars 6 through the ‘Requests’ menu. This menu allows you to view the weekly, monthly and yearly leaderboards. PokerStars 6 tournament leaderboards can be found in the ‘Requests’ menu. All transfers on PokerStars can be done through this menu. You can request any of the transfer options listed below in the PokerStars 6 client through the ‘Requests’ menu. This feature allows you to transfer funds directly to other players’ accounts. These types of transfers usually take a few minutes, however, sometimes it may take longer due to security measures, especially if you are transferring big sums. PokerStars and Full Tilt Poker are independent from each other when it comes to networks, however, if you have accounts in both rooms, you can link them and transfer funds between them. Tournament Money is a feature offered by many poker room. PokerStars tournament dollars are used exclusively for buying into tournaments and sit & go’s. What sets PokerStars apart from other poker rooms in this regard is that you can sell or buy tournament dollars. If you want to cancel any pending tournament dollar trade request, you can do it through this menu. If you feel like testing your skills first at play money tables, you can buy some play chips through this menu. Just like real money, play money is also transferable on PokerStars. Play money can be transferred to other players through this menu. Sometimes you have to register for multiple tournaments and sit & go’s and the ‘Registered in Tournaments’ menu allows you to keep track of all your tournaments in a single window. The same options is available for cash games, only there you have waiting lists and keeping track of them can be just as difficult as tournaments if you have joined a lot of them. That where the ‘Table Waiting Lists’ menu comes in, showing all the tables that you are waiting for in a single window. The ‘Tournament Tickets’ menu allows you to keep track of all the tournaments tickets which you have in your account. PokerStars offers a number of extra search features that allow you to quickly find a specific player, tournament or PokerStars Pro. Just enter the players screenname and you will see a list of all cash games and tournaments that he or she is currently playing. You can find a player in PokerStars 6 by going to the “Requests” menu and clicking on “Find a Player”. The “Find a Team PokerStars Player” menu will show you a list of all PokerStars Pro’s, both online and offline, and you will be able to see what tables they are playing at by double clicking on their names. You can find a player in PokerStars 6 by going to the “Requests” menu and clicking on “Find a Team PokerStars Pro Player”. With all the tournament filtering features in the lobby itself, there is actually another one, using which you can find a tournament by its ID. The tournament ID is the unique 9-digit number, which you can find in the tournament lobby. You can do this in PokerStars 6 by clicking “Find a Tournament” in the “Requests” menu. 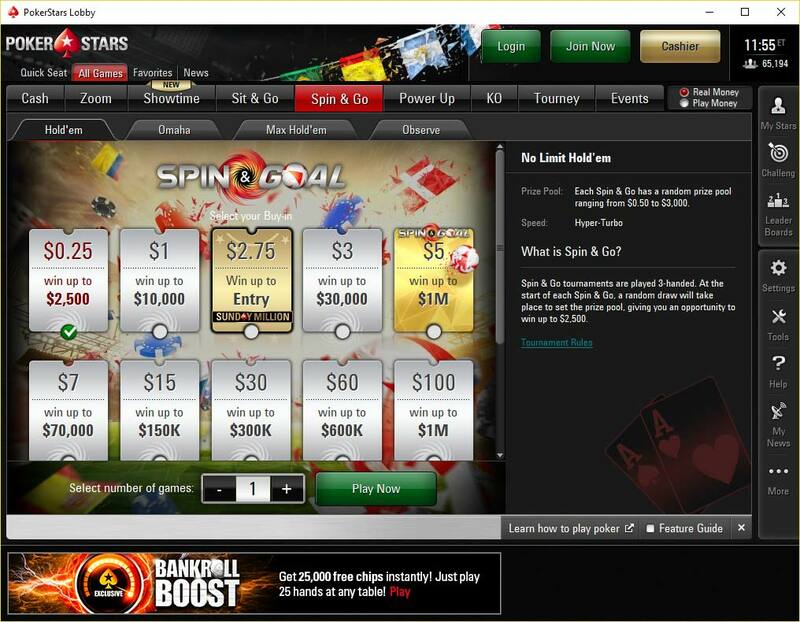 The ‘Responsible Gaming’ menu allows you to set limits on various PokerStars features. You can limit the cash games table so you won’t be able to join a table beyond certain stakes. The same option is available for tournaments. The newly added casino games can also have limits imposed separately for blackjack and roulette. You can also limit the amount which you can deposit to PokerStars in a certain time period. Lastly, you can completely exclude yourself from PokerStars, but keep in mind that once you do that, this procedure cannot be reversed in any way. If you are eligible for a promotion, bonus, free tournament tickets or a special VIP reward, you can enter you code via the ‘Star Code’ menu. By going to the “Tools” menu and clicking “Player Notes Editor”, you can check all the player notes that you have taken down and modify them. You have an option of five settings to make adding notes easier, like the option of single clicking on a player to assign a note. The ‘Restore Info Messages’ menu allows you to quickly restore pop up notification messages, banners, quick seat instructions and the guide bar, in case any of these features have been disabled. The PokerStars 7 client has made it easier than ever to keep track of all the latest PokerStars news with a social media style news feed that lets you know instantly about the latest developments. PokerStars Poker School is an online training site that lets you learn the basics of poker. It includes tools that will help you analyze and improve your game, as well as great courses that cover various aspects of poker strategy, many of which are presented by PokerStars Pro’s. Another way to participate in the Poker School is through their forum, where players can discuss their hands and get advice from other players. Players can also participate in live training sessions, where coaches will analyze hands as they are being played out. PokerStars Home Games is a great way to create and manage your own private poker club to play with your friends. All you need is a club name and invitation code. Club creators can appoint administrators, accept or remove members and customize their club they want. Leaderboards and player statistics are also available. The PokerStars Mobile App is available for both iOS and Android devices and you can download it for free in the App Store or Android Apps. The app requires iOS 4.0 or Android 2.3+ to run and is compatible with most mobile devices and tablets (iPhone 3GS+, iPod touch 3+, iPad 2+). It is available in 15 languages (English, Spanish, German, Dutch, French, Russian, Italian, Finnish, Swedish, Portuguese, Danish, Polish, Romanian, Slovenian and Estonian). The apps data usage is quite low. Playing one cash game table for one hour amounts to approximately 1.5 MB of transferred data. If you plan on playing using a 3g or 4g connection, be aware that blind spots in network coverage may cause the app to disconnect at times, especially if you are playing on the move. The safest option is to use a wi-fi connection. If you have an existing PokerStars account, you can use it to log into the PokerStars Mobile App, however, if you don’t have one, you can create your account right in the app. In the apps main lobby, click “Create Account”. Enter your new username, password and e-mail address in the new window and click “Create Account”. Once you have completed registration, an e-mail with the verification code will be sent to you. Once your e-mail has been verified you ready to start playing on PokerStars Mobile! The PokerStars Mobile App features a very user-friendly interface, which will be easy to use even if you are new to mobile poker. Screen size differences between phones and tablets can be significant though. While the tablet version has no gameplay issues, phone screens can be a bit too small to for all the table buttons. 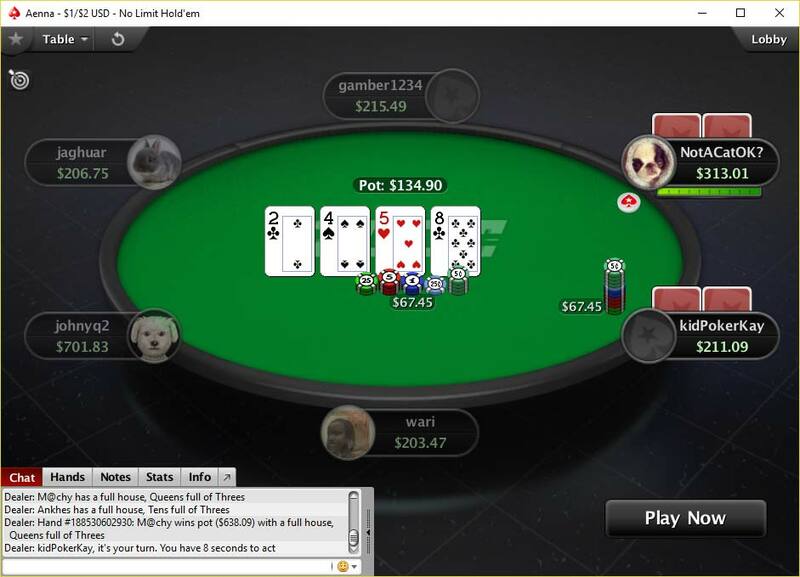 Though PokerStars has incorporated some features designed to minimize these issues, the possibility of a missclick is still there considering the small amount of space between some of the buttons. You can play up to four tables on your phone and up to five on your tablet. The multi-table feature is designed nicely, so players shouldn’t have any trouble switching between tables. Most of the games that are available in the desktop version of the PokerStars client are also available in the mobile app, except for a few obscure games like badugi. At this point there are also some other features from the desktop client that are not incorporated into the mobile app. Perhaps the most important of them – the ability to change your account information or security settings, real money and play money transfers between players, home games and no additional software like HUD’s. Once you log in to the mobile app, you can view all available games in the lobby, which is split into four parts. To switch between them, just select a different one in the top left corner. First, is the Ring Game lobby. 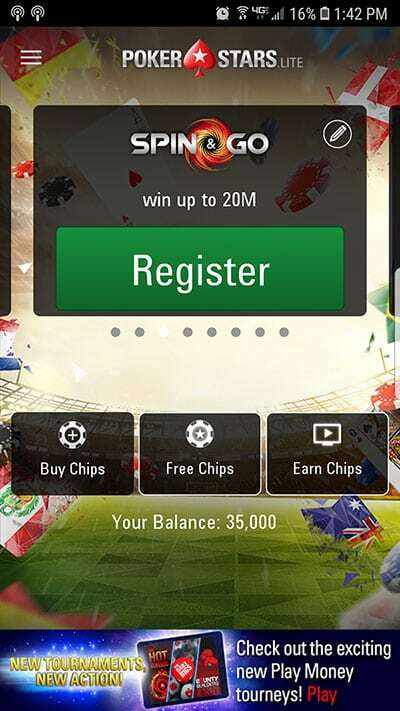 You can view play money and real money games separately and filter them according to currency, game type, limit, stakes, buy-in and table type. The only downside here is that the filter always has to be used in one form or the other, so you can never view all the tables at once. Next – the Tournament lobby. The Tournament lobby is primarily split between real money and play money tournaments, and in addition to the same filters that are available in the Ring Game lobby, you can also include or exclude Zoom Tournaments, show only those tournaments where registration is open and filter them out by starting time. The third lobby is the Sit & Go lobby. This lobby arguably provides the best filtering options out of the first three, since its filters allow you to find specific games the quickest. You have most of the filters from the Tournament lobby available here, as well as filtering out the table types and the total number of entrance. The last lobby is the Zoom lobby. You will not find zoom games in the ring game lobby, but this lobby provides all the necessary filters to quickly find the zoom game you are looking for. Mobile tables are generally well designed and have good functionality for all table types, from heads-up tables to 9-max tables. The mobile cashier does not have the same amount of info as the desktop client cashier, but you can make deposits and withdrawals, as well as viewing your transaction history and pending cashouts. Recently, PokerStars has added the ability to deposit real money into your account directly from the mobile app. To do this, just go to the cashier and click “Deposit”. If you have already deposited real money into your account, the last deposit method will be the first one offered to you with, though you can choose any other method available to you. Once you have chosen your preferred deposit method, fill out all the necessary information and you deposit will be processed instantly. Withdrawing funds using the mobile app is exactly the same process that you would have to go through in the desktop client. To withdraw funds, go to the cashier and click “Cash Out”. Enter the amount which you want to withdraw from your account and click “Continue”. Select you preferred withdrawal method and click “Continue”. Depending on the withdrawal method chosen, your request should be processed within a few hours to a day. Just in terms of available features, PokerStars software is the undisputed leader in the market. With such great software, it is no wonder that PokerStars has amassed such a huge following of players. PokerStars software feels tailor made for anyone who uses it, whether it’s a long time player or someone who downloaded it for the first time.